Many runners who train for races will train for a few peak races a year, with short breaks between training cycles. With all of that training, many runners, myself included get a little burnt out on running. It’s a great idea to take a couple weeks off from running a year to recharge mentally and physically. For many of us, myself definitely included, that short break during our running off season is exactly what we need to keep things fresh. Taking a short break from running can also allow you to focus on a form of cross-training that you’d like to delve into a little more, but normally wouldn’t have time or energy for because you’re training for a race. In the past I’ve stepped back from higher mileage to participate in month-long yoga challenges, which have been huge game changers for me mentally. This year I’m taking two weeks off of running to focus heavily on taking barre classes so I can take my 100th class before heading home for Thanksgiving. For me, it’s a little like being an injured runner: when you purposely take time off when you don’t allow yourself to run, it makes you want to run more. That way, I know I’m really ready to go when I get back to training. 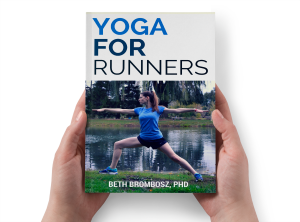 For those of us who genuinely enjoy our cross training activities, taking a short break from running can allow us to explore those activities more in-depth while still maintaining strength and fitness. Doing the same thing over and over again can get a little boring. Taking the time to focus on another sport or activity during your running off season can help break the monotony of training for multiple races in a row. And, spending extra time participating in fitness activities that help you build strength, especially in your core and in the stabilizer muscles in your hips and legs. That strength will help you be a better, more injury-resistant runner when you get back to training. Do you take scheduled breaks from running? What do you do during your running off season? « Are You Ready for Yoga Teacher Training? This is so true! I am so burnt out after doing way too many races this year. I’m taking this down time to really focus on strength training and I’m really loving it. I’m 100% on board with this – great post! I take a 5-7 days after a big half and 10-14 days after a marathon, no matter what – it helps me recover physically and prevent mental burnout. 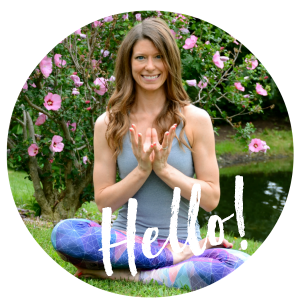 I do lots of yoga and Pilates in that time, which usually I taper off from doing during the peak weeks of training, so it’s nice to add them back in! I’m in the midst of my first extended break from running, since I’m far enough along in my pregnancy that running has become difficult. I can’t wait to get back at it after delivery. Love this! I’m currently injured so I’m taking a non-chosen break from running, but I’m loving the extra time I get to spend on cross training. I’m hoping this time off will make me a stronger runner overall!